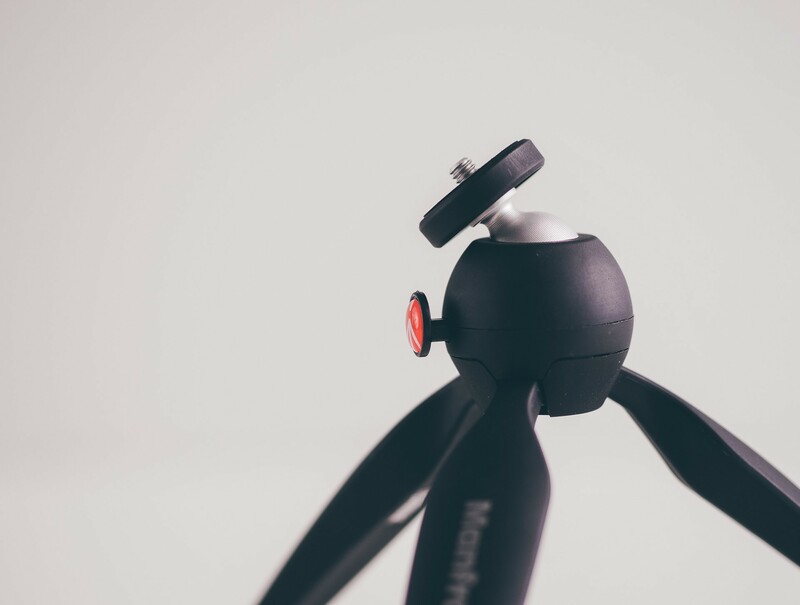 The Manfrotto PIXI Mini tripod wasn’t built to be your only tripod. Instead, it's a great tool to complement your go-to tripod and can quickly be slipped into a bag to be available at a moment's notice. A few weeks ago, Álvaro Serrano wrote about the excellent SIRUI T-025X travel tripod. His review meticulously detailed the ins and outs of one of the best travel tripods on the market — a tripod perfect for just about every kind of photography one may encounter while on the road. 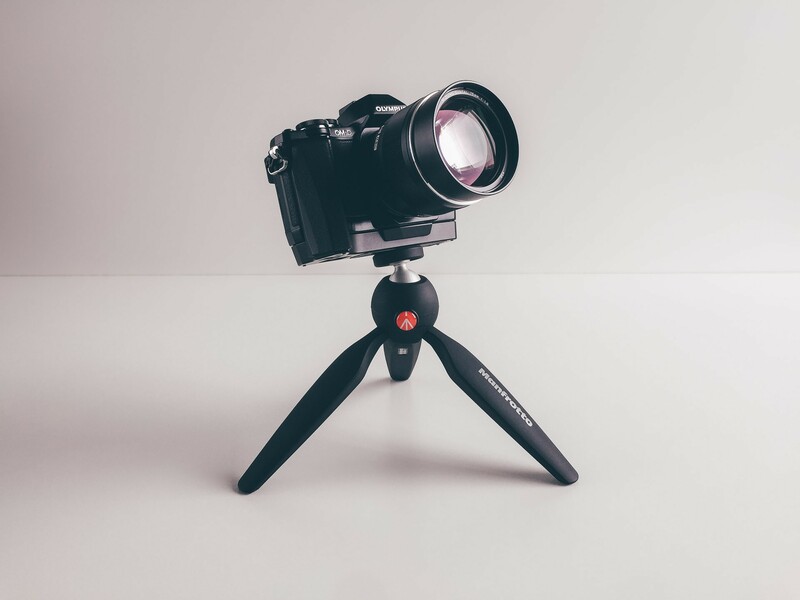 So, with that in mind, why spend $25 on the PIXI Mini Tripod by Manfrotto when you can get one of the best tripods available from SIRUI? 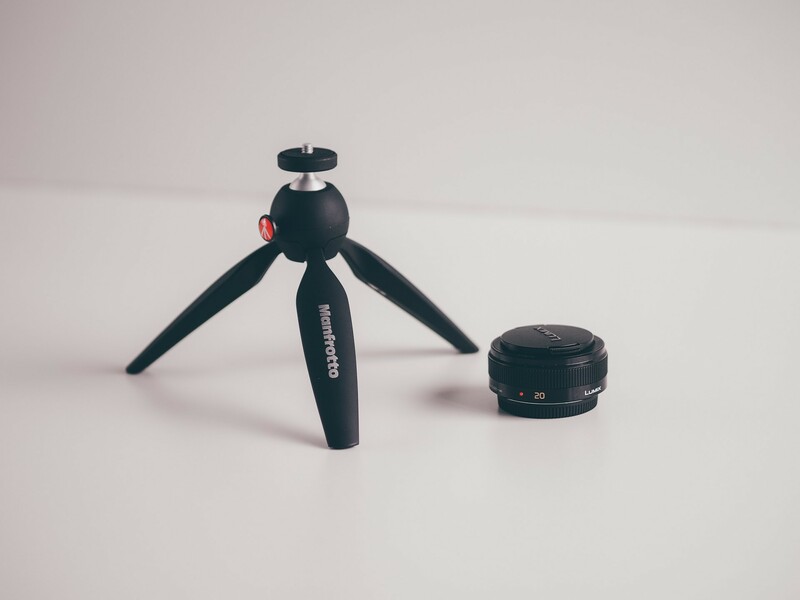 Because there’s still room for a super small, super compact, super durable mini tripod in your back pocket. And the PIXI Mini is the best pocket tripod you can get. The Olympus OM-D E-M10 with Olympus 75mm f/1.8 lens atop the PIXI Mini. Like many people recently, I found myself staring in awe at Paul Stamatiou’s photo stories a couple months ago. His travel photo stories have tons of great photos packed into a neatly laid out website, which of course left me clicking through Kayak.com to find the latest flight prices to somewhere else. Paul also outlined how he creates his photo stories and what gear he uses when traveling. His tripod of choice is the PIXI Mini Tripod by Manfrotto. Naturally, the incredibly small sizing left me wondering if the tripod was more a novelty or toy than an actual photography tool. At $25, I figured I wasn’t losing a whole lot by experimenting with the PIXI Mini. I chose the matte black PIXI Mini, but there are numerous colors to choose from. The tripod is made of Adapto, a polymer Manfrotto says gives the PIXI Mini its tactile finish. 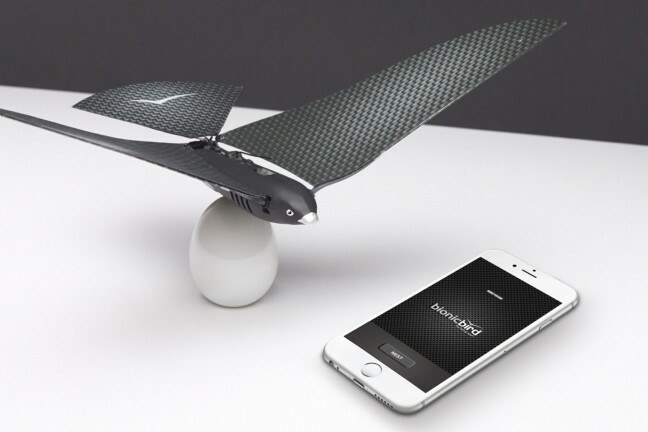 The Adapto material is neither slippery or abrasive, giving it a very unique feel in the hand. Manfrotto recommends cleaning the Adapto surface with a standard white pencil eraser instead of water to preserve its tactile finish. The Manfrotto logo is hard to miss on the PIXI Mini’s left leg. 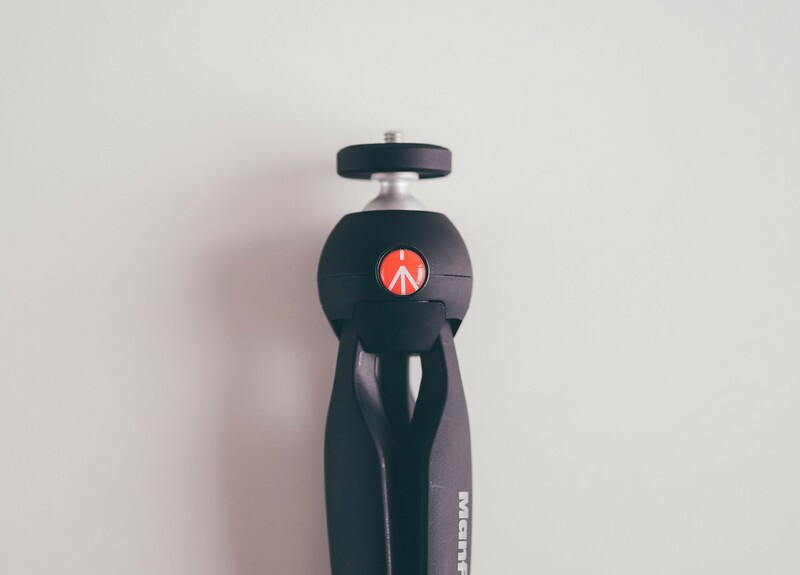 The Manfrotto logo is painted on one of the legs and is difficult to miss. 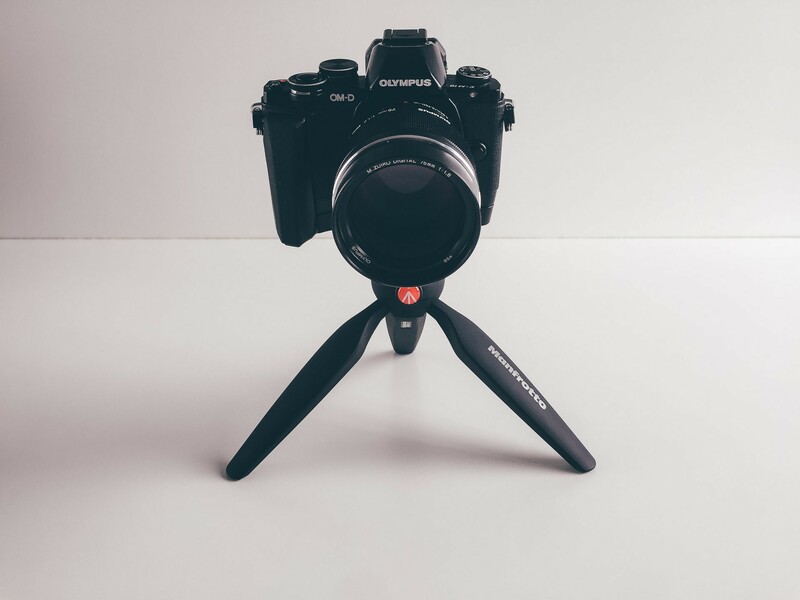 The Manfrotto symbol itself is also branded to the push-button mechanism, which helps give the tripod a hint of character. Overall, it’s hard to complain about the look or construction of the PIXI Mini. Some may feel the tripod looks like a novelty. But after inspecting the tripod and feeling the Adapto material in your hand, you’ll realize fairly quickly that this tripod was built for extensive use. The PIXI Mini is a fantastic tripod for quick shots outdoors. I haven’t had a chance to test the PIXI Mini with a larger lens like the Olympus 40-150mm f/2.8 Pro, but I certainly haven’t noticed an issue with larger-than-average lenses like the Olympus 75mm f/1.8 or the 12-40mm f/2.8 Pro. I have noticed the tripod can tip if the heavier 12-40mm lens is angled down and is not positioned above one of the three legs. But in my experience, positioning the lens over a leg has kept the PIXI Mini from toppling over nicely. 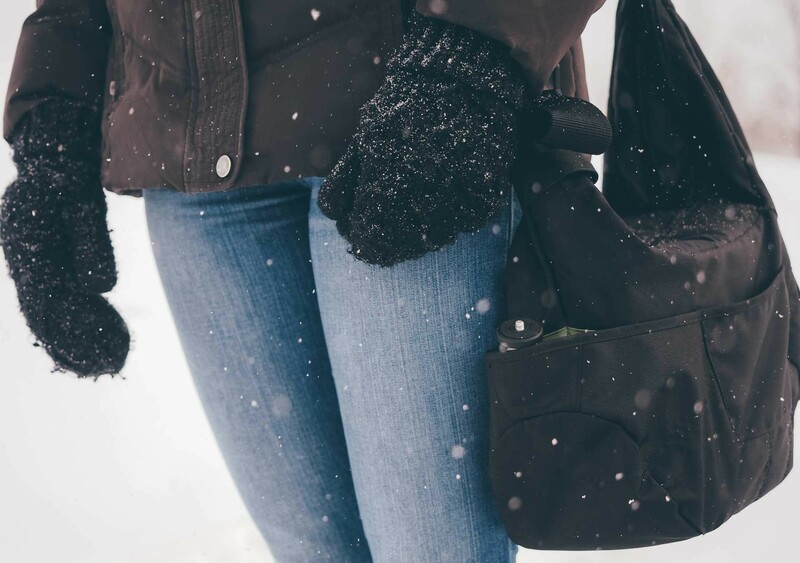 The PIXI Mini can easily be stowed in any camera bag. 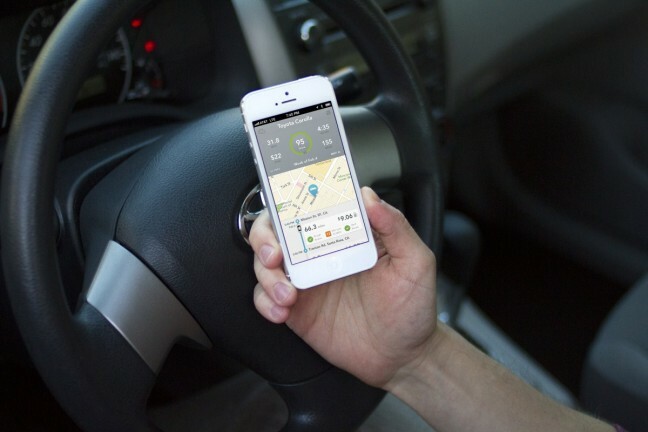 The small size offers a few added benefits. The ease of pocketing the PIXI Mini for a quick trip or putting it in the smallest of camera bag pockets is second to none. I have a Lowepro Passport Sling bag (which is in dire need of an upgrade) that can easily house the PIXI Mini in any pocket. Trading off size and extendability for ultra-portable characteristics can be beneficial at many odd moments and may save you from missing that perfect late-night long exposure shot. 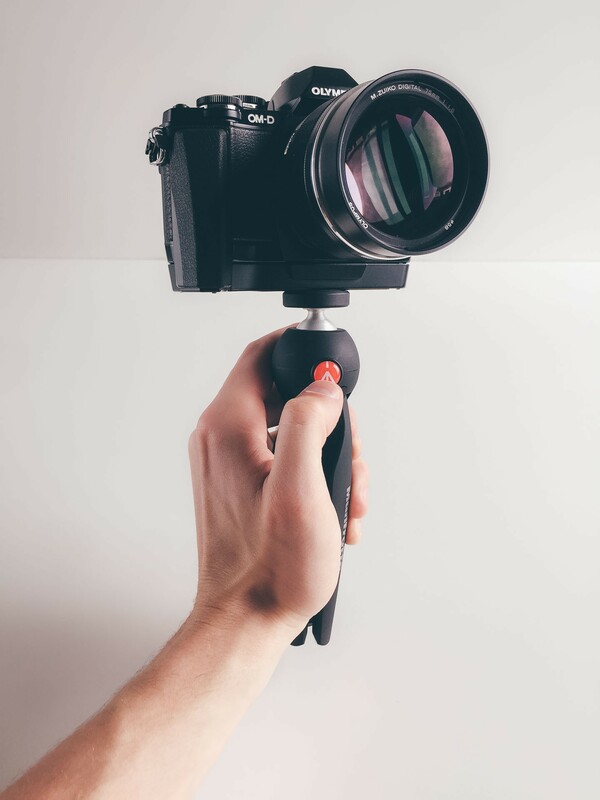 When collapsed, the PIXI Mini offers a creative way to comfortably grip your rig and to capture smoother video. 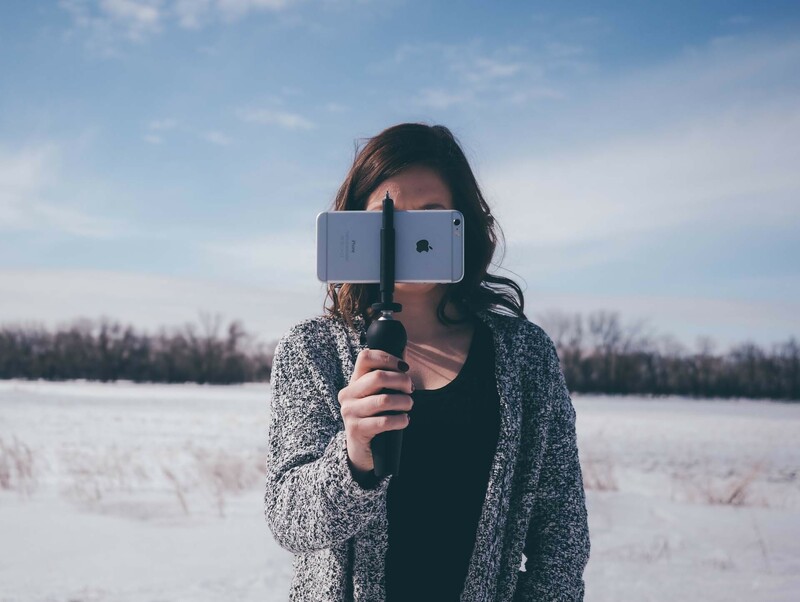 Second, collapsing the three PIXI Mini legs creates a comfortable grip for holding your camera for video. I especially find this useful when accompanied with Studio Neat’s Glif tripod mount for smartphones. The Glif nicely screws onto the PIXI Mini and I can use the iPhone 6 Plus’s incredible video features with a steadier and firmer grip. The PIXI Mini’s legs have been built with a perfect shape for your hand and I have been surprised to note how often I use the tripod in this closed, grip position. The Manfrotto PIXI Mini combined with the Studio Neat Glif and iPhone 6 Plus make a great portable video kit. Nothing is left untouched with the PIXI Mini, including its rubber feet. When open, the feet grip onto any surface with ease and I haven’t noticed any slipping or sliding. 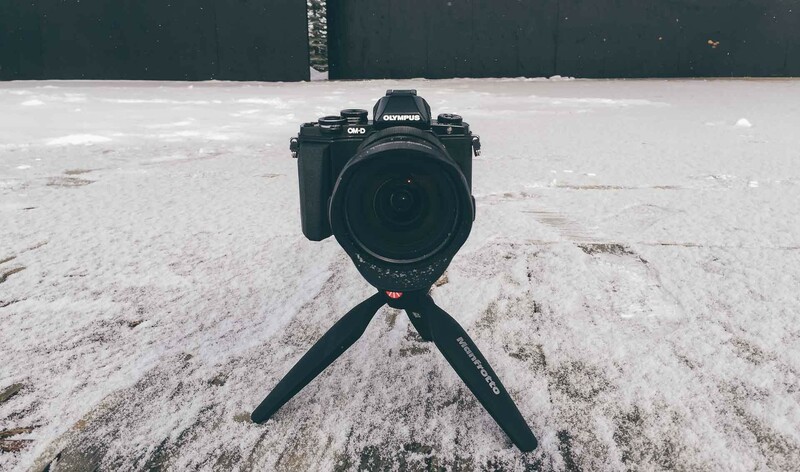 Generally, the tripod will be used very low to the ground, meaning any slipping of the feet will most likely not result in major damage to your camera equipment. The tripod’s feet are rubberized and gather dust and dirt fairly quickly. On the down side, the rubber feet pick up just about any kind of dirt and dust imaginable. The feet generally need to be dusted off before the tripod is put back into a bag. 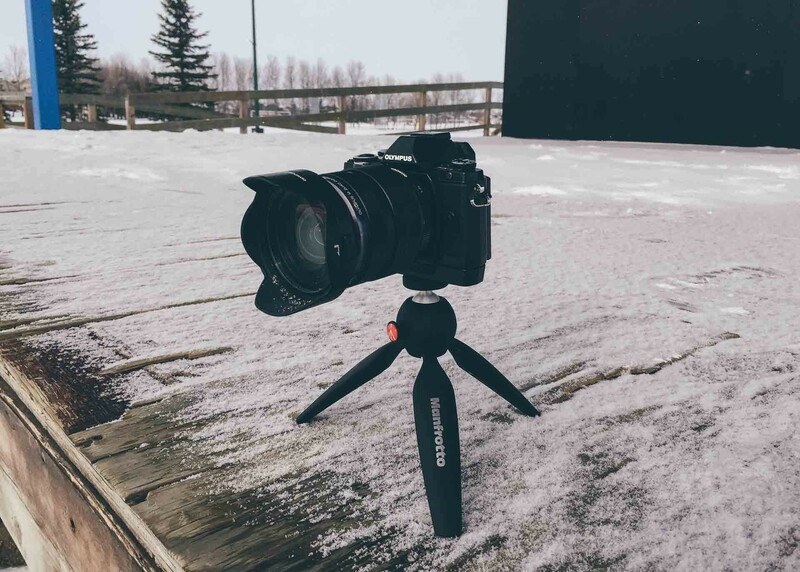 The feet are also unreplaceable, meaning any major wear or damage to the rubber will result in needing to buy an entirely new tripod instead of new feet. 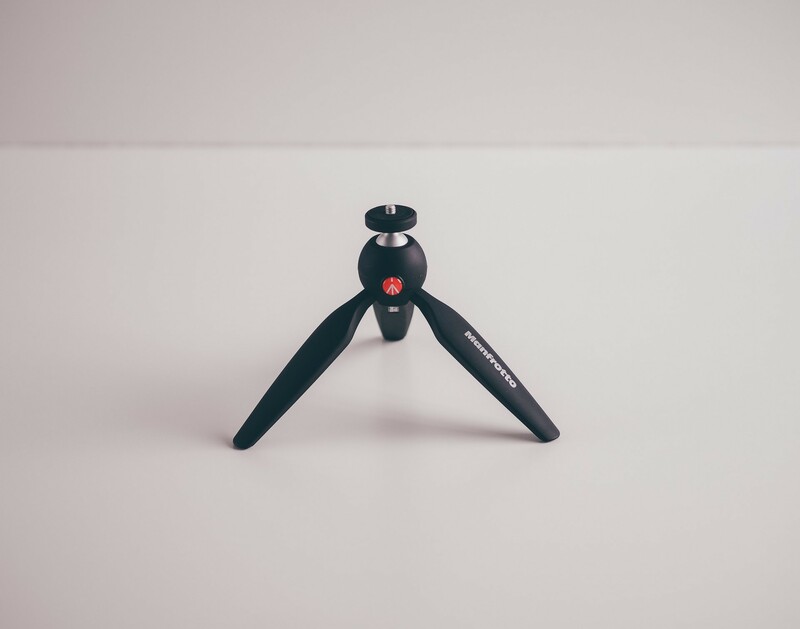 Very often though, a tripod, big or small, is only as good as its head — this is where the PIXI Mini excels and falls short all at once. 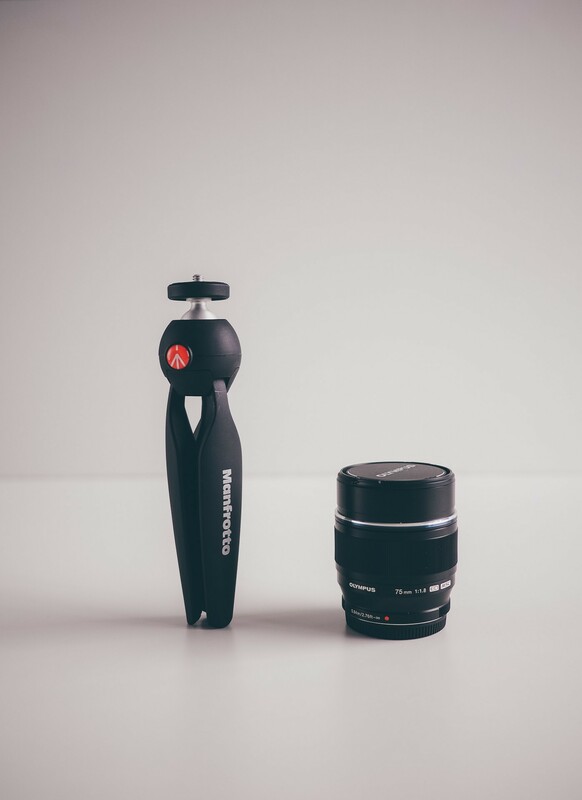 The PIXI Mini’s ball head has a very sturdy screw and is circled by the same rubber found on the tripod’s feet. The construction of the ball head is top notch. The PIXI Mini’s screw is solid and can hold my Olympus camera horizontally with no fuss. The screw is surrounded by the same rubber material found on the PIXI Mini’s feet, which helps protect the bottom of your camera from scratches and wear. The push button mechanism is adorned with Manfrotto’s logo. The push button mechanism is surprisingly difficult to press and may cause trouble making fine tuned adjustments. The Manfrotto-branded push button mechanism unlocks the ball head and allows it to freely rotate. Pressing this button is actually more difficult than I originally anticipated and it often demands a collapsing of the legs for proper grip. This difficulty is necessary though — if the push button easily depressed, the ball head would easily rotate and cause sudden drops of the camera body. So, while the hard-to-push push button mechanism may be difficult to use, it’s probably better off for that. 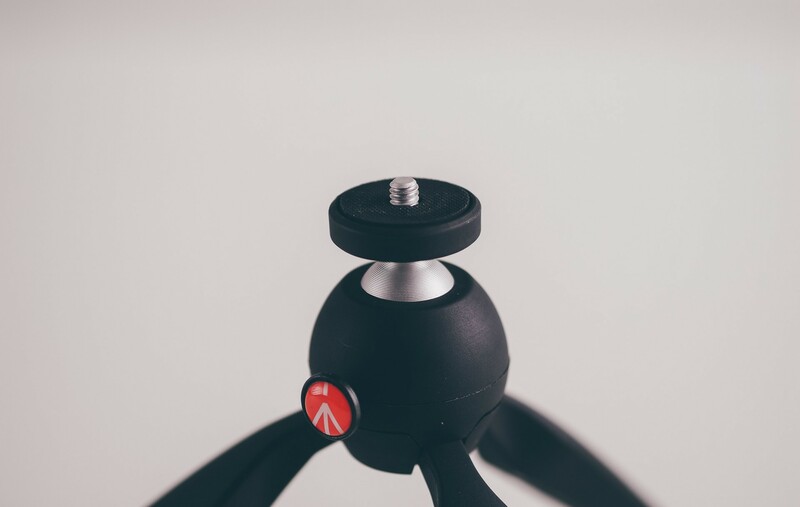 The tripod’s ball head only rotates to about 45 degrees, so don’t expect to take perfect overhead photographs. The other major downside of the push button mechanism is its lack of a “snap back” option. 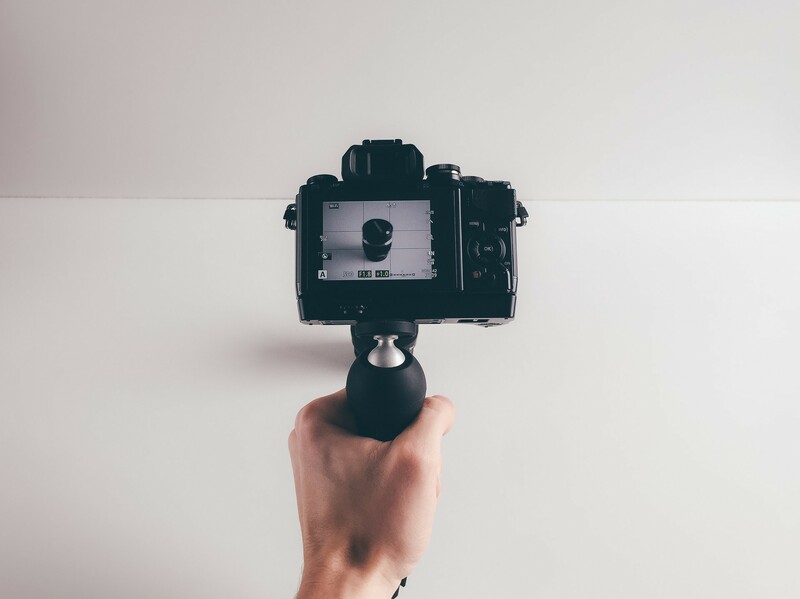 Essentially, once the head has been rotated away from level, the only way to get back to level is to use the built-in digital level in your camera or unscrew the camera from the tripod and manually put it back. This isn’t an absolute deal breaker, but I’ve found the difficulty in adjusting the rotating head combined with no snap back option to be troublesome when trying to line up a horizon for a landscape shot. I’m sure there would be other downsides to having the rotating head snap back to level, but I find myself wishing for it to snap back more often than I would like. 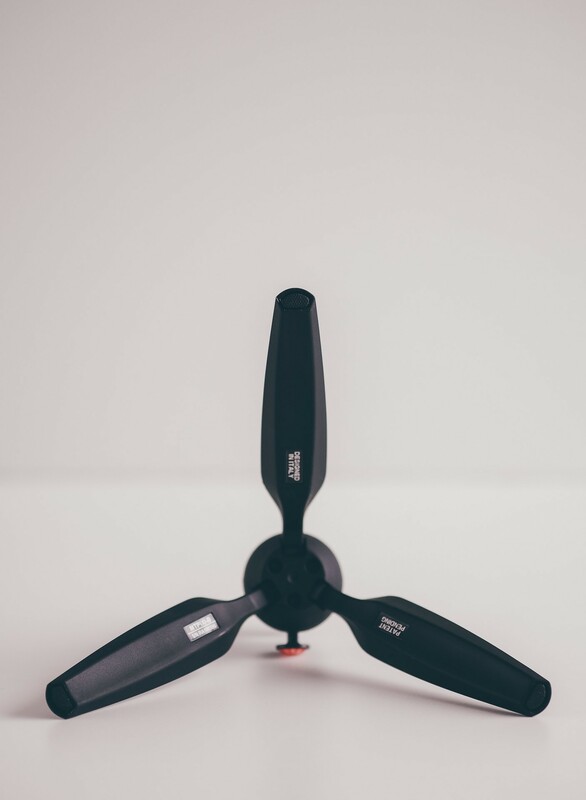 Clearly, the rotating head can’t extend upwards in the same way a full-blown tripod can. The head height is fixed, limiting your shots to about 8” above surface level. 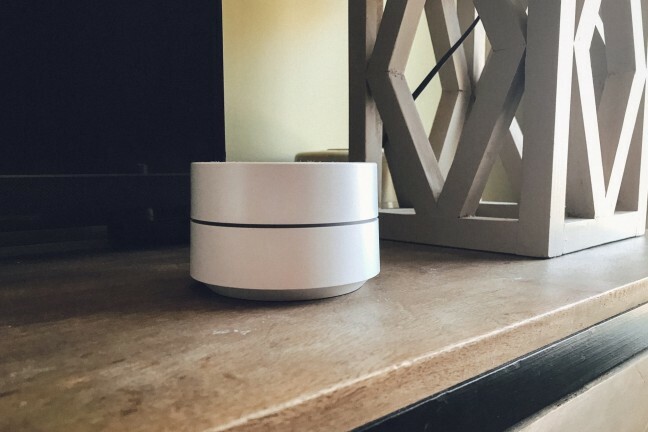 Realistically, putting an extension in the head would cause the PIXI Mini to grow in size and would defeat its small and compact purpose. 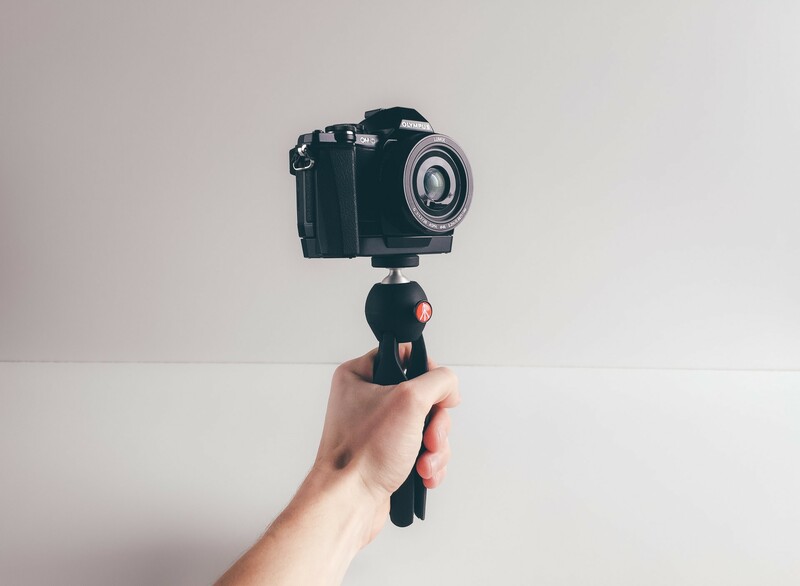 Once again, the PIXI Mini is meant to be used in a pinch and certainly won’t replace your go-to tripod for more productive work. The ball head is very sturdy and doesn’t give even when the camera and lens are angled down and away from the tripod’s main center of gravity. Because of its fixed nature, the rotating head can only rotate so far. This eliminates any chance at true overhead photography. I can’t see how Manfrotto would create a rotating head that reached a full 90 degree angle considering the construction of the ball head, but it would be a neat addition nonetheless. Overall, the ball head is a mixed bag. It excels in staying sturdy so heavier cameras don’t adjust or fall at awkward angles and it rotates smoothly when operated. However, the push button mechanism makes it hard to make quick, small adjustments and leveling the ball head is trickier than I’d like it to be. I think it’s quite clear the Manfrotto PIXI Mini tripod wasn’t built to be your only tripod. This tripod works to complement other travel tripods that can’t be carried around in every situation. The PIXI Mini can be quickly slid into any pocket in a camera bag or even your back pocket for those random shots when your bag isn’t handy. And it’s durable enough to use in many situations when on the go. Like Paul Stamatiou, I foresee this being an excellent mini tripod for traveling. If a beautiful sunset calls for a slightly longer shutter time and you don’t have your true tripod with you, there isn’t any better tool to keep the camera stationary in a moment’s notice. I can’t wait to give this thing a try when we depart for a weekend trip in May. And at $25, I can’t go wrong.